Tonight’s game at the Garden between the Flyers and the Rangers is a story of two teams that have rebounded from adversity to sit a point apart from a playoff place. It will be the first time the Flyers have been to the Garden this season. Both teams have seven wins in there last ten (Philadelphia 7-3-0; New York 7-2-1) and will be looking to push on. The Flyers have won 5 out of their past 6 road games but tend to struggle at the Garden. 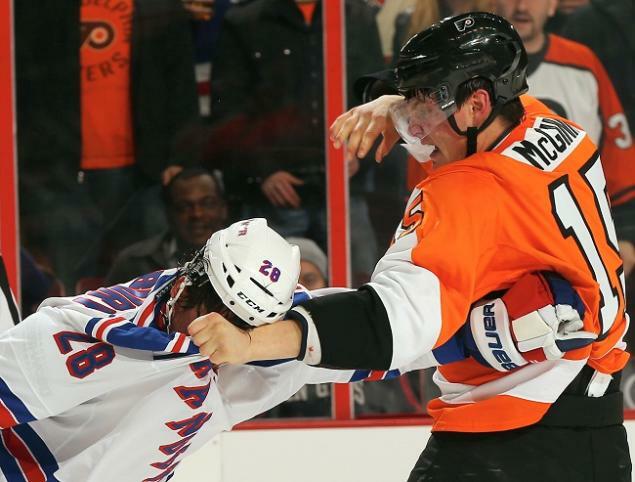 Nevertheless, the Flyers won the first meeting this season in a heated affair, beating the Rangers 2-1 Philly behind a stellar 30-save performance from Steve Mason. With his two assists on Saturday, Claude Giroux now has 21 points in his past 15 games. He will need to fire up the Flyers for arguably their most important game of the season so far. The Rangers powerplay is red hot at 6th in the NHL after a slow start. The Flyers on the other hand have killed off 22 consecutive penalties over the last seven games. The Rangers could to rise from fourth to second and back into a playoff space. Simmonds has recorded at least one point in 10 of his last 12 games and looked back to his best on the PP. He certainly was not happy with the Flyers defensive display against Tampa last night. I am betting on a low scoring tight checking game tonight which could swing the momentum of the Metropolitan division. OT anyone? Patrick Sharp smashes a hatty on his birthday! Have a look at the on fire birthday boy in action who has now scored 21 goals this season. The answer to the Bruins power play woes? Hearing such high praise from such an influential player in Boston must just add to the confidence of Krug, who looks like he has been skating in the NHL for years. 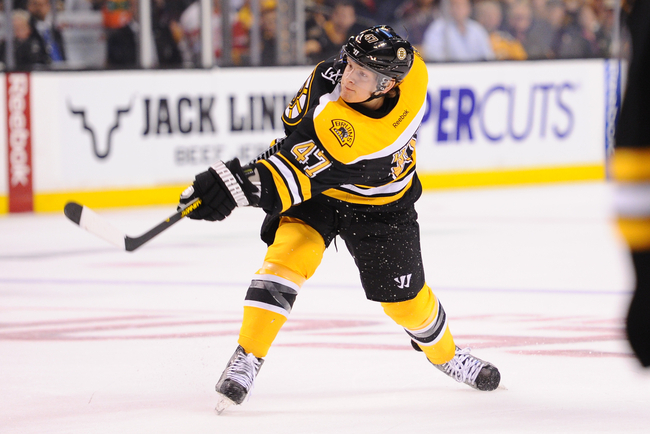 Krug has been tipped for a possible Calder Trophy but with the likes of Seth Jones and Thomas Hertl stepping up Krug will have a battle on his hands. The Bruins have made two Stanley Cup Finals in the last three years with a lackluster power play. With a power play firing on all cylinders with a rookie defenseman who has taken to ice like a polar bear, the Bruins might be on their way to another Stanley Cup Final! Jarome Iginla who? Calgary have been impressive as a team. 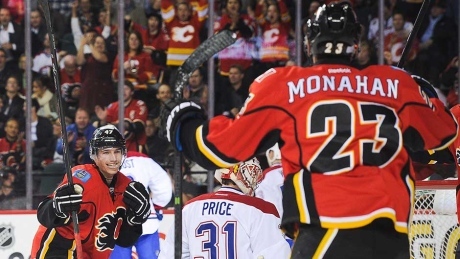 18 year old Sean Monahan had a goal and an assist as the Calgary Flames beat the Montreal Canadians 3-2 last night. Monahan is staking his claim not to go back to the OHL past his 9 game limit. He certainly improved his chances of sticking around last night. Speaking to NHL.COM Monahan has a very mature and proffesional approach that has not gone unnoticed by his coach Bob Hartley. “I think just to continue to be a good pro, and that’s what I’m trying to do right now, the little things on the ice and off the ice and just be an everyday pro,” Monahan said. He has the confidence of coach Bob Hartley. It’s great to see a young player come straight into the team and have a significant impact, especially when they are an exciting playmaker. I for one will be watching his progress and see whether he can maintain the form needed to stay with the Flames. The Habs will bounce back and cut out the mistakes from last nights game. A few defensive errors cost them which will be worked on in practice. It’s a long season and only just underway, but it’s great to see some young talent shinning through already. 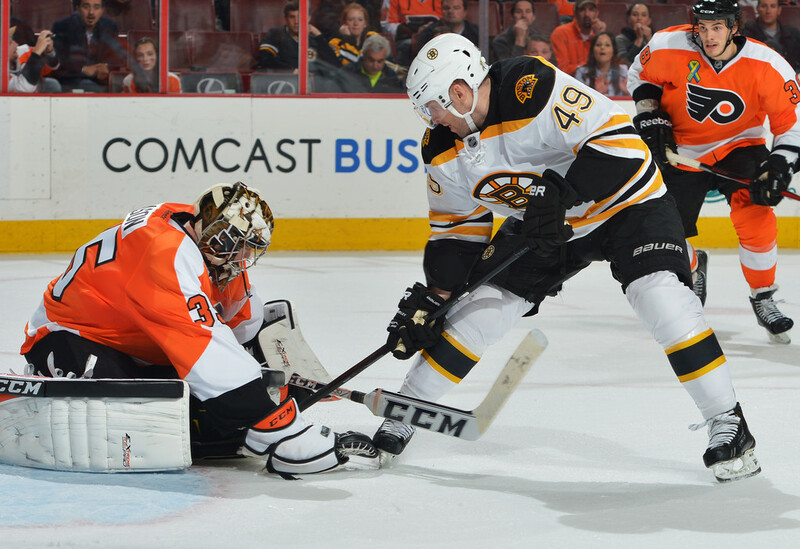 Steve Mason made 33 stops to help secure the Flyers first win of the season against the Florida Panthers 2-1. It wasn’t the prettiest of games and neither of the Flyers goals are going to win goal of the season, but a win is a win! The main reason for that win was the seller play of Steve Mason in net for the Flyers and the unfortunate play of Tim Thomas in the Florida net. Brayden Schenn and Braydon Coburn scored the goals for the Flyers that were virtually carbon copies of each other. Schenn tapped in a rebound from a wide shot that cannoned off the boards and back into the slot. This appeared to injure Thomas who was unable to prevent the tamest of wrist shots from Braydon Coburn on another odd bounce off the boards. From a Flyers perspective it was nice to see a bit of luck when things aren’t going your way. This is especially true against Thomas who has dominated in Philly, previously going 8-0. It’s nice to see Flyers net getting some positive praise rather than the other way around. So well done Steve Mason! Steve Mason looks set to start against the New Jersey Devils tonight in net as the Flyers stick with their rotation policy. Now some writers have been questioning the strength of the Flyers in net. Not an unreasonable topic to consider with the Flyers history of woes in net. However this season I feel Flyers fans should be looking on with renewed optimism. Speaking to CSNPHILLY.COM Mason responded to the questions around the Flyers net. “People are making such a big deal out of it,” Mason said. “Razor [Emery] and I are both competitive guys, we both want to play, and only one can play at a time. Regardless of who’s in the net, we want to be supportive of one another and for the team. Mason certainly believes that both himself and Emery can do well for the Flyers. Philly needed to have a season where there is competition for the starting role. This has been lacking in years gone by and allowed too much media pressure on whoever might protect the net. Spreading the pressure out over two players will allow the Flyers to answer the question they hear every season. 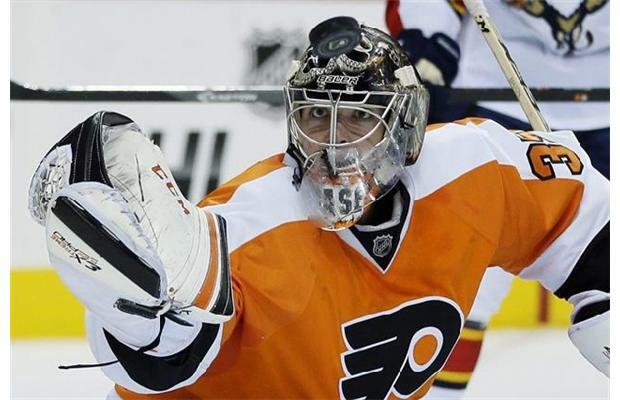 Will the Flyers be vulnerable in net? This season I can say, with confidence, no! Cleary not needed, Raffl, McGinn or Laughton? Apart from making the Flyers look a little stupid there appears to be no hard feelings Dan and I wish you all the best in Detroit. Flyers fans can forget the previous article I wrote about why you being a Flyer was the wrong move for the organisation and we can move onto another more current issue. Who should be filling the 3rd line left wing spot? Competition for spots is what I think is needed. With a host of players ready to take the 3rd line spot I have evaluated the options below. Not wanted by front office? The fans favorite would slot into the third line for the Flyers but has seemingly been ruled out by the front office. The Flyers seem set on a winger with a more physical presence and Gagné does not fit the bill. I would expect this position to be filled by a younger player coming through the system. Can the center play wing? 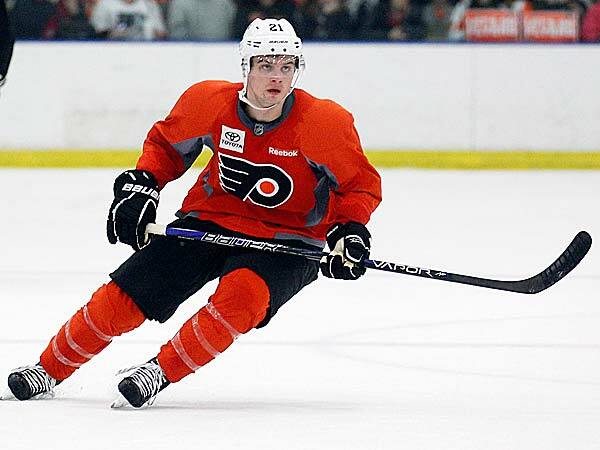 The Flyers number one prospect is my favorite to make the team this year providing he has a good camp. 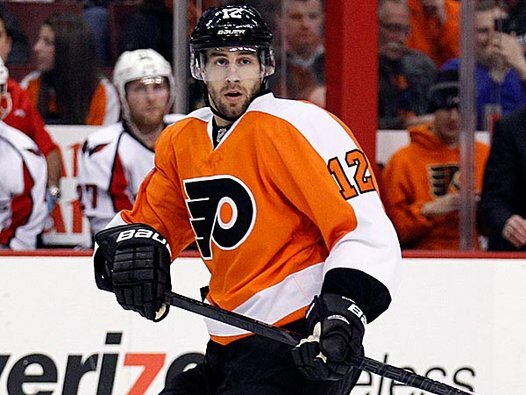 The Flyers know his potential as a two way player but there are doubts whether he can be a full time winger. Laughton looked good in the five games he played last season and will be looking to make the jump to the senior team this season. If Laughton does not make the team Flyers fans will hope to see him play at the World Junior Championships. Fight for the spot on the wing? McGinn would be a very versatile option for the Flyers if he is to make the team. Last season he even played on the top line with Giroux when Hartnell was injured. This gives Lavi some flexibility with his lines as McGinn adds the physical presence that the Flyers are looking for in a winger. Out of all the options, if McGinn has a good camp I expect his experience last season to turn Lavi’s head. A somewhat wildcard that the Flyers are riding high on Raffl is favored by some to claim the spot as his own. Playing on a line with Thomas Vanek at the IIHF World Championships has helped Raffl’s profile and the Flyers seem to believe he is NHL ready. Whether he needs to spend some time in the AHL to adjust to the North American game remains to be seen. If he can adjust quickly in camp then the winger could be the natural selection ahead of McGinn and Laughton, especially if the Flyers believe Laughton needs more time to develop. For now who gets the place it is too close to call. I like the idea of any of McGinn, Laughton or Raffl playing with the Flyers next season. 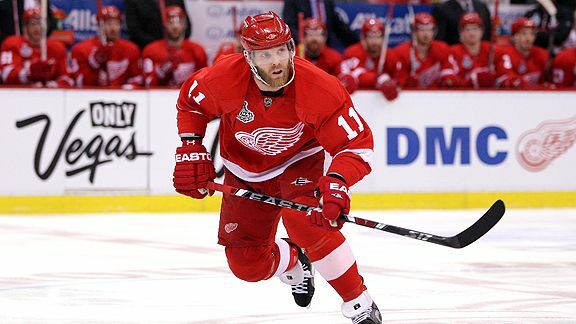 Which leads me to ask, why were the Flyers interested in signing Dan Cleary in the first place?